No matter where you are in your machine embroidery journey, Floriani Embroidery Basics classes can take you farther! This amazing educational lecture/demonstration is filled with industry secrets that will inspire your creativity. 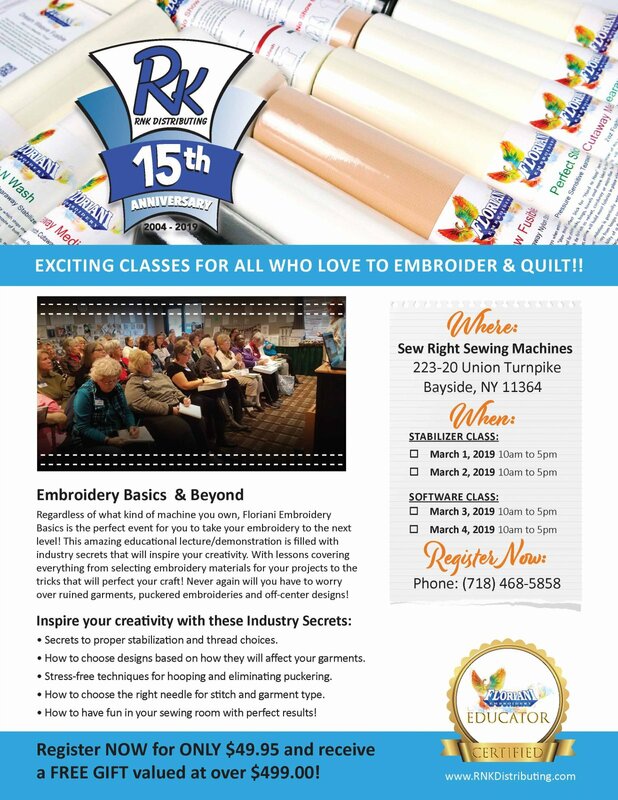 With lessons covering everything from selecting embroidery materials for your projects to the tricks that will perfect your craft! Never again will you have to worry over ruined garments, puckered embroideries and off-center designs!